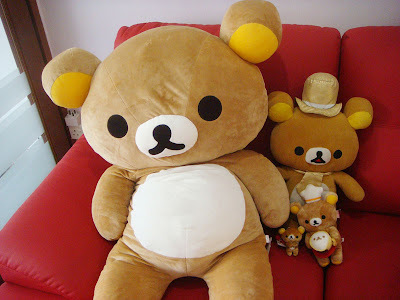 Rilakkuma comes to your house in human size! 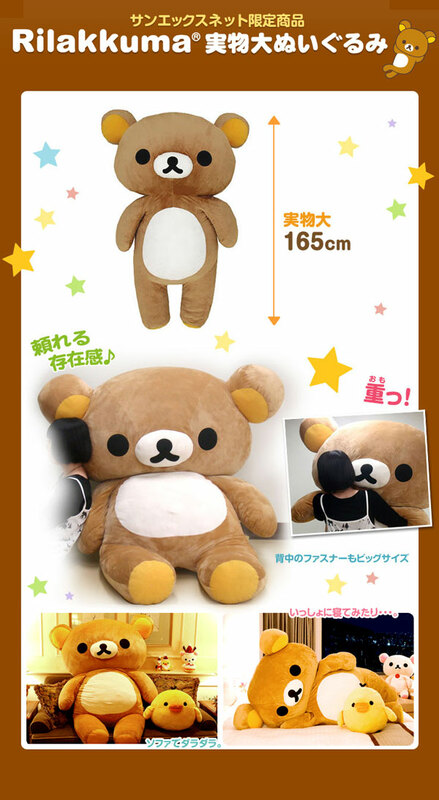 San-x is releasing limited edition 165cm tall Rilakkuma plush, the biggest stuffed toy than anything else! 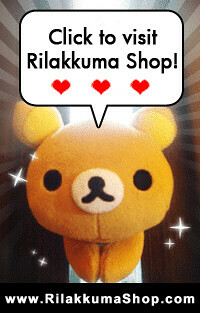 You will only be able to pre-order this Rilakkuma plush online in Japan. However, this plush looks really heavy, the shipping fee back to your country would probably cost a bomb. If you like big sized Rilakkuma plush, you might want to consider a smaller alternative. *SGD 258.00 is not inclusive of delivery/shipping fee. I would get the huge plush but its way too expensive but so cute! !